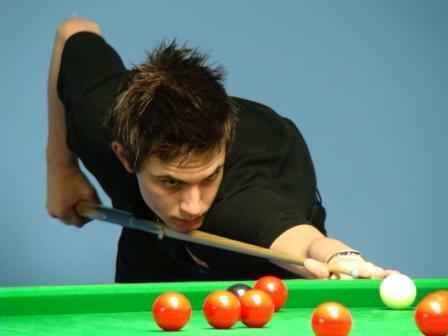 Ben Harrison (pictured) compiled a 147 break during a 24-hour snookerthon at his home club, Player’s in Westbury. The 18-year-old shattered his £1,000 target thanks to a £700 donation from Sean May, a family friend and co-owner of Westbury Country Club. In fact, more than £1,300 was raised for Macmillan Cancer Support – the charity close to his heart. Harrison chalked up his fifth maximum against girlfriend Sunti Rossi. “The worst part was the hours between 3am and 6am,” he said. “My back was aching so much and I couldn’t feel my feet. Harrison survived on crisps, noodles, oranges and a welcome sausage sandwich at 5am.